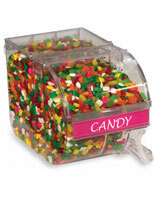 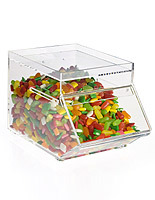 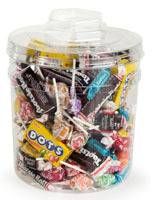 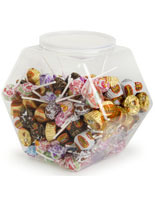 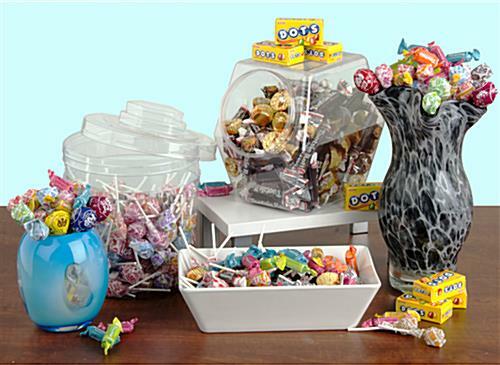 This candy display bin is a great way to create a custom showcase of treats and sweets. 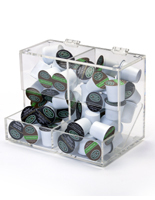 Every hexagonal dispenser is lightweight and freestanding so that arranging an eye-catching countertop or tabletop presentation is a hassle-free experience. 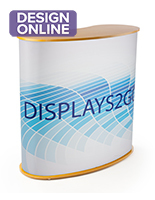 A plastic display bin is extremely portable and can be used in both traditional retail environments as well as at food stands and vendor booths found at circuses, carnivals, and other events. 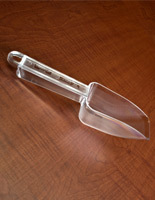 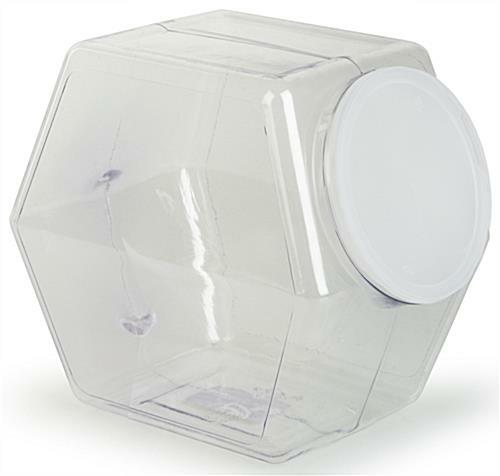 The containers are crafted from transparent PVC to showcase contents, and each one features a wide mouth design for ease of use. 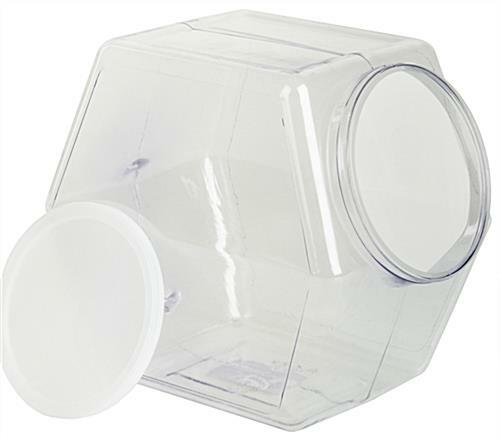 Every display bin has a lid to protect the contents from germs and other environmental factors present in retail stores and at food stands. 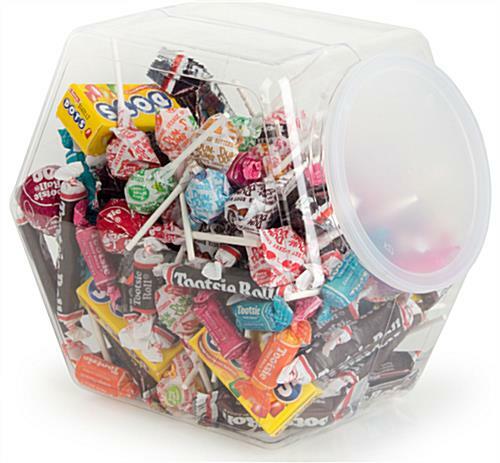 Create a unique presentation of sweets and treats with a set of plastic containers! 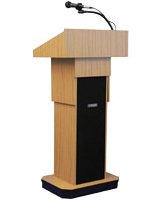 5.0" x 8.0" x 20.0"